Is it really that hard to shut up? It must be: one of the top posts on this blog is the Golden Rule of Listening which explores five benefits of keeping your mouth shut. Plus, keyword searches for “how to talk less” lead many a person to The People Equation. It would seem that people truly do want to “zip it”, but they don’t know how. Think about it. 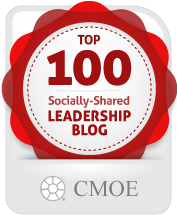 Who do you consider to be influential thought-leaders in your organization? Is it the talkative people who contribute incessantly? No, these non-stop talkers probably don’t have your deep respect. More likely, it’s those who temper their talking and have a give-and-take approach to interpersonal communication. So, why are some people so compelled to get their share of “air space”? Here are thoughts for folks who want to stay silent, but struggle to do so. Do you recognize these three silence-challenged scenarios? Let’s say you truly are the brightest bulb in the ceiling – fine. Then be satisfied with the knowledge that you know a lot. People don’t need to have it rubbed in their faces. Dominating conversations with your superior intellect causes friction and disengagement with your colleagues. Think of it this way: do you want to be known as the Boor from Actuarial or the Conversational Expert who articulates powerful questions? This is a tough one, because typically, you don’t realize you’re clueless about your speaking behaviors. For starters, look around you when you talk at meetings. Are people paying attention? Or are they doodling, texting, or gazing off into the distance? This is a sign you’ve lost your audience. Ask a trusted colleague to give you feedback on how you can be more concise or on-target with your message. Yes, presenting ideas to a group makes you nervous. We get it. And it’s OK. The best way to combat nervousness is to go on the offensive – ask questions to determine what your audience wants to know. Then, you can target your responses to only that information that they’re interested in. Look at it this way – if they only want to know about items #1 and #3 on your agenda, then you can skip items #2 and #4 – offer to put it into an email summary. Voila! You’ve cut your talking time in half! Letting your words fly, full boar, with no thought to their effect on the audience is a weak communication strategy. It casts you as someone who only likes to hear the sound of their own voice. By contrast, learning to “zip your lips” is a powerful way to help you learn more about your audience’s needs and desires. As you gain the courage to stay silent, you will have the opportunity to create a stronger presence, enhanced engagement, improved relationships and more meaningful dialogs. And all of these qualities will build your reputation as a thought-leader.